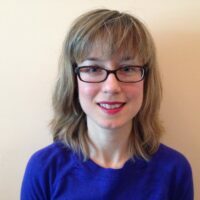 Julianna Visco is a third year PhD student in the Italian Department at Columbia University. Her research interests include the intersection of material culture, specifically textiles, with medieval and early Renaissance Italian literature, and theories of the body and materiality. She is a graduate of the Teagle Institute and currently an assistant editor on the Digital Dante Project.